Get Plowed specializes in snow removal and de-icing services. We pride ourselves in being efficient and timely, which solidifies our reputation for being an industry leader. Our clients include some of the largest industrial and commercial companies in the area. They choose Get Plowed because they must have the job done right and on time – every time. 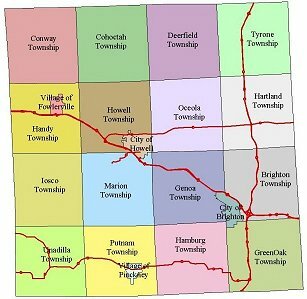 Brighton, Howell, Milford, Pinckney, Hamburg, South Lyon & Hartland. Seasonal Unlimited Pricing – Snow Plowing and De-Icing Services will be provided for a seasonal all inclusive rate contract. This pricing structure does not include a seasonal snowfall “cap” or revert to another pricing structure, it is a guaranteed total price for the season. This type of structure works well for high traffic, long hour facilities such as retail centers, fueling stations, and restaurants. Per Event Pricing – Snow Plowing and De-Icing Services will be performed and charged at a single rate for any given snowfall amount, regardless of how long the storm endures. This pricing structure works best for locations with limited operating hours, such as corporate or industrial sites.